…and also trying to find out ways to audit your Tableau Server. 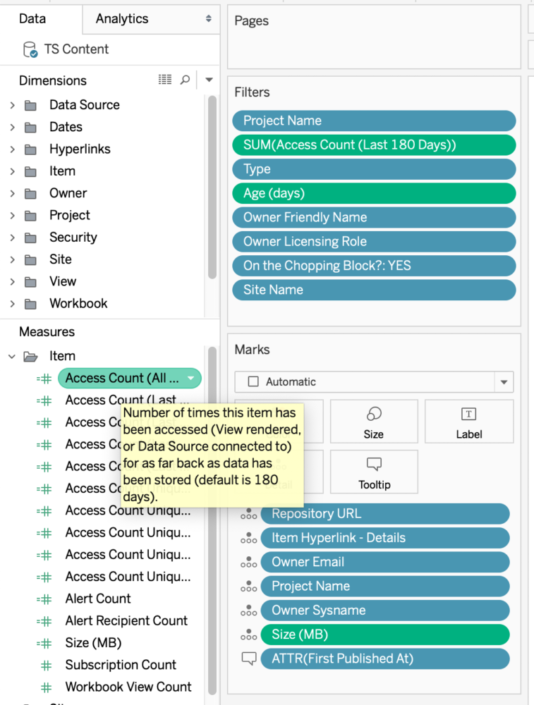 We use Tableau Server heavily here at The Information Lab, which is fantastic for getting to grips with the edge cases – but it also means we publish there A LOT, and could be better at cleanup. 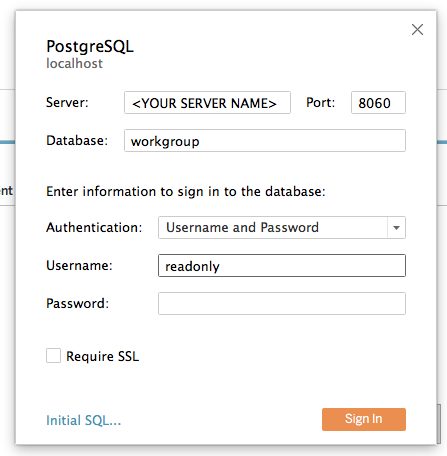 When getting to grips with learning about as much as I could about Tableau Server, and beginning to investigate the potential of the Postgres repository, I discovered the Server Admin section of the Tableau Community Forums. Whilst also being a great place to ask and answer questions, there’s also a whole section on Custom Admin Views – which includes a document for data sources which you can plug and play! 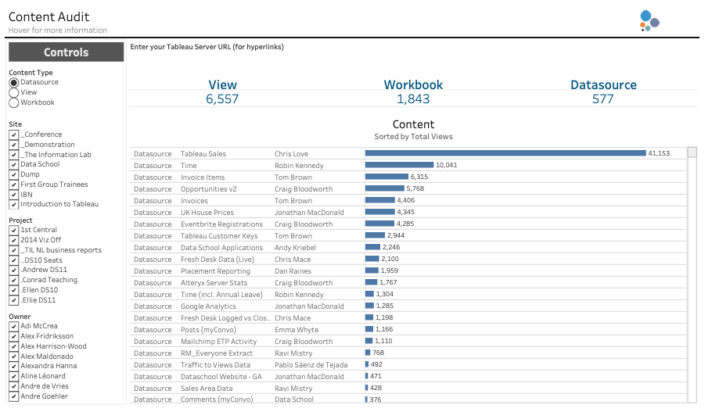 Huge props to Matt Coles of Tableau for creating and providing these. The best part of the data sources that Matt Coles has created isn’t just that they’re just there to download and get stuck into.. It’s the fact that they’re SO well documented! Look at this. The first is to help show what’s on the server. 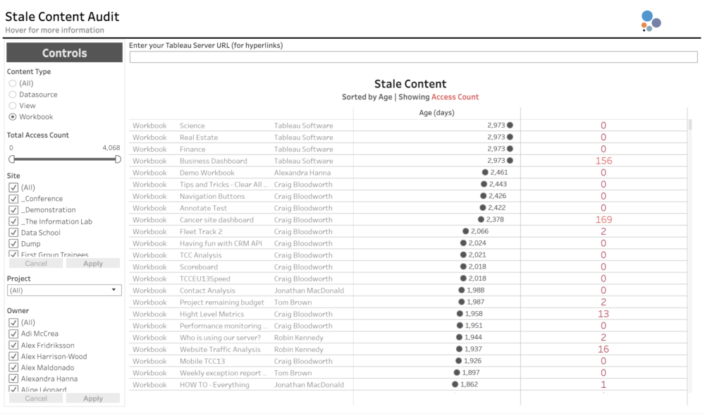 This helps have a glossary or log of the content which exists on Tableau Server. The dashboard is below. This is a summary view of all sites and data sources. As you can see, this can be filtered and controlled on the left hand side with different configurations. Also a great overview for what is what on Tableau Server. Hit this link (Stale Content_v10.5) to download the workbook and play yourself!